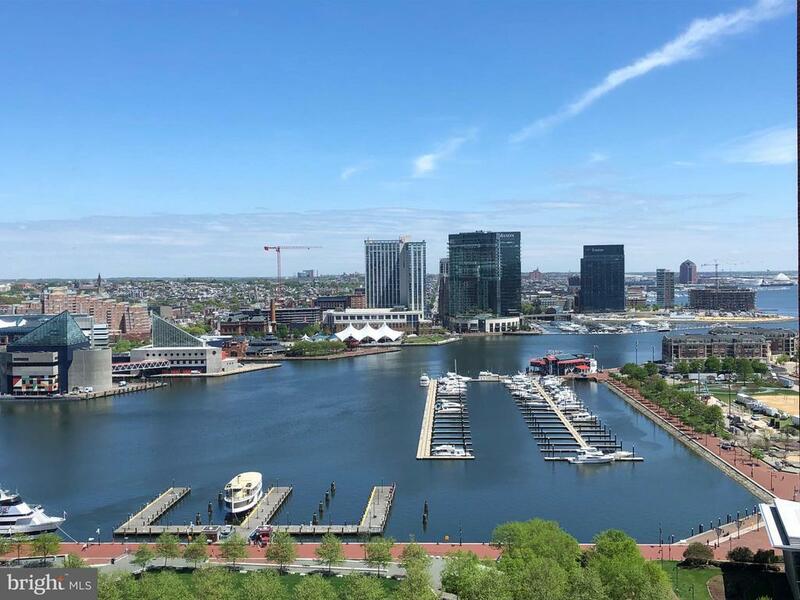 Enjoy incredible Inner Harbor, city skyline, stadium and sunset views from this beautiful two bedroom condo in The Towers at Harbor Court. New carpet and paint. Fantastic condition. Full service Doorman building with 24/7 front desk staff and security, Community amenities including event rooms and guest suite, as well as hotel amenities from the attached Royal Sonesta hotel. Accessibility: 36"+ Wide Halls, Entry Slope <1', Thresholds <5/8"